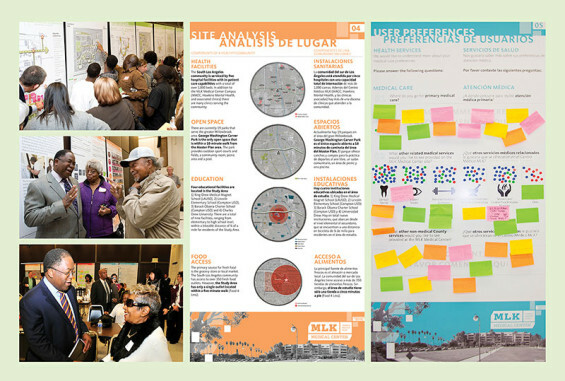 Using the Martin Luther King Jr. (MLK) Medical Center Campus as a catalyst to create a “Community of Health and Wellness”, the project’s Planning Team developed a master plan that proposes a broad-based wellness approach with a 20-year implementation plan. 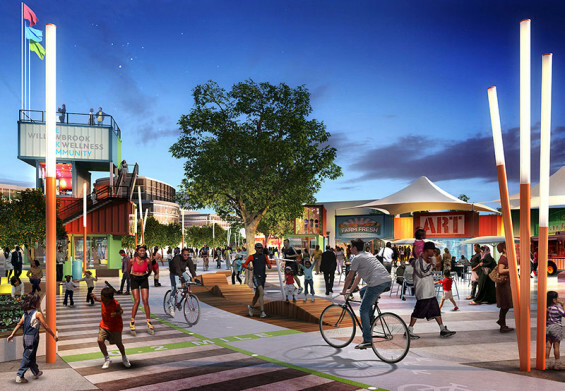 The master plan features a series of practical and incremental improvements that foster strong community connections, establishes a new area identity and creatively addresses the social, economic, and environmental quality issues within this community. 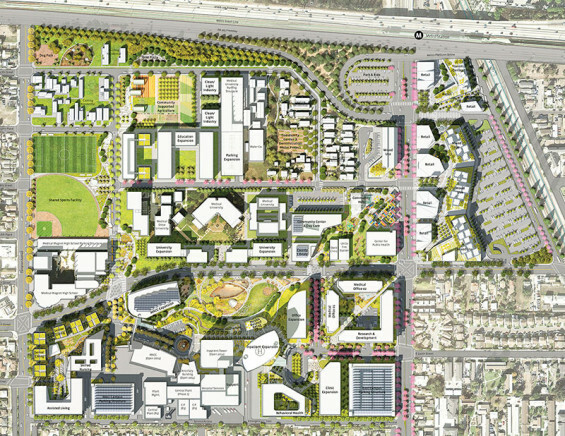 The plan’s study area focuses on two locations: the existing 42-acre Martin Luther King, Jr. Medical Center Campus and 82 acres of the immediately adjacent neighborhood, which is located within the unincorporated community of Willowbrook and adjacent to the Los Angeles neighborhoods of Watts and Compton. Residents of the study area find public transit access to the MLK Medical Center difficult to navigate and the sidewalks (where they exist) in disrepair and poorly lit. 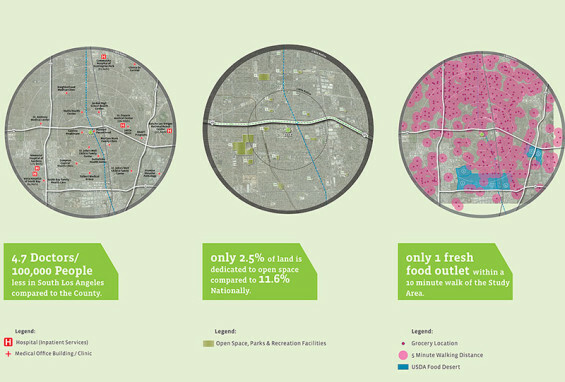 Healthy food options in the area are currently non-existent and vacant or blighted parcels dominate the landscape. Additionally, the adjacent schools have little to no outdoor recreational spaces. 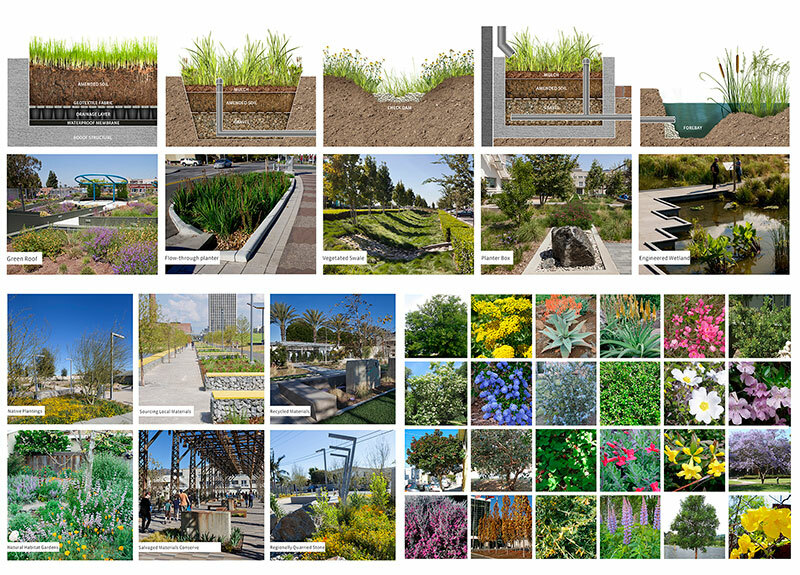 The planning team integrated a complex set of systems to reinvigorate the community. 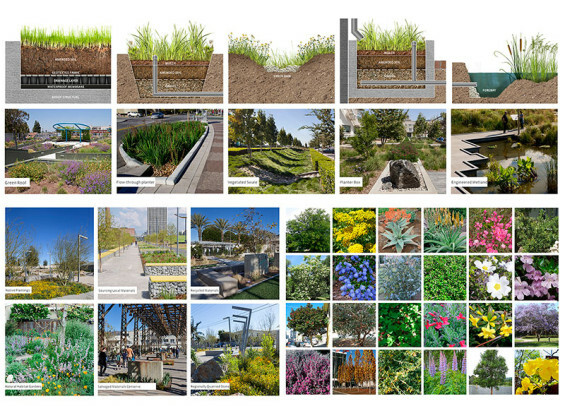 These systems were identified as Wellness, Education and Research, Economic Development, Public Safety, Community, Access and Mobility, Environmental Quality, and Land Use. 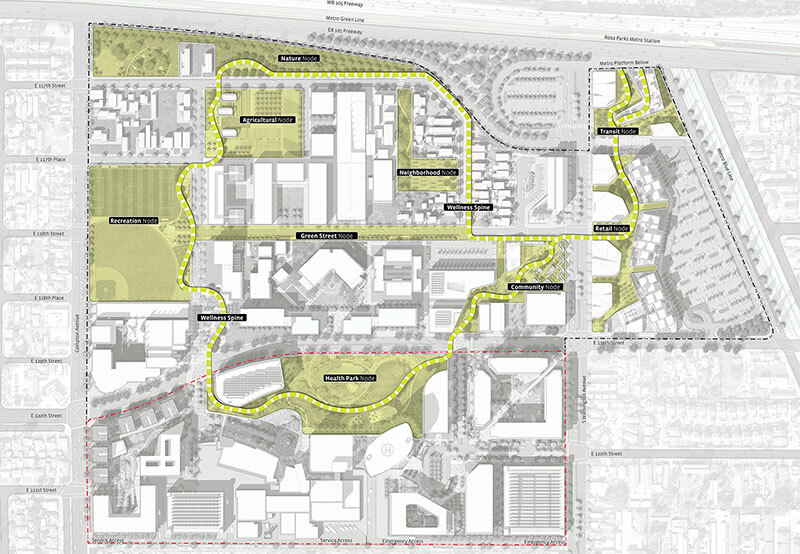 Developing the final plan considered a broad range of interconnected solutions that enabled a holistic and sustainable approach to the development of the master plan. 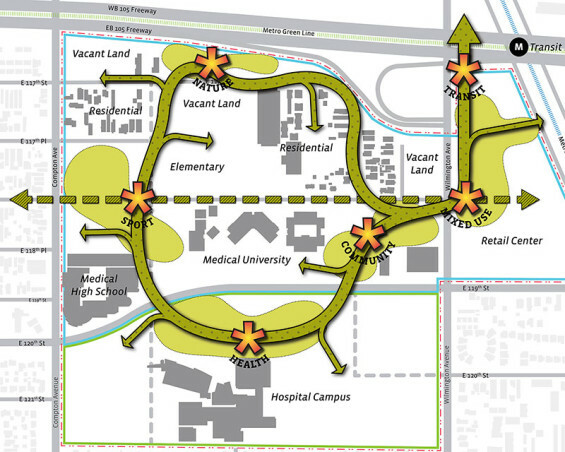 The resulting MLK Medical Center Campus Master Plan is wide ranging in concept, long-term in its focus, and well-grounded in the details. 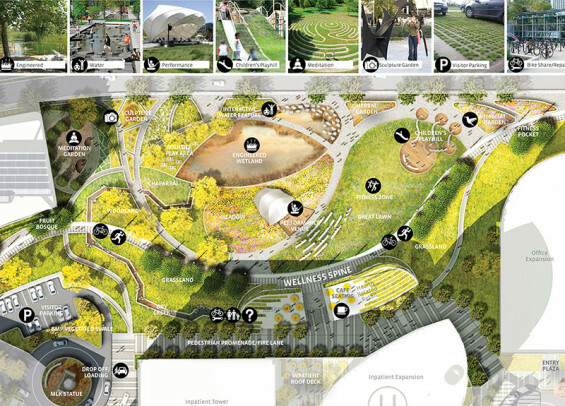 The plan uniquely reflects an understanding of current approaches to improving health and wellness as well as contemporary land use planning principles. The master plan includes a landscape feature, the “Wellness Spine,” which is a primary organizing and identity element for the campus. 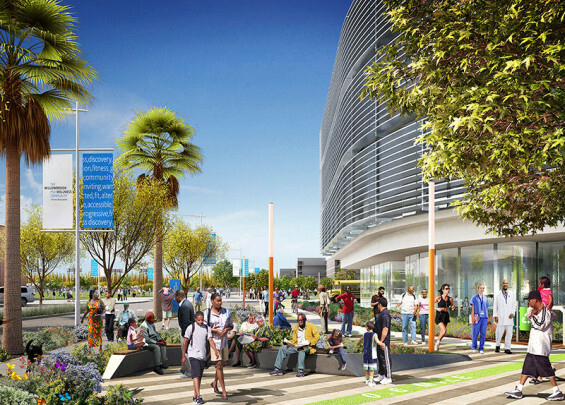 By enhancing connectivity to the community beyond the medical center campus, the Wellness Spine establishes active lifestyles through the promotion of walking, biking and socializing. 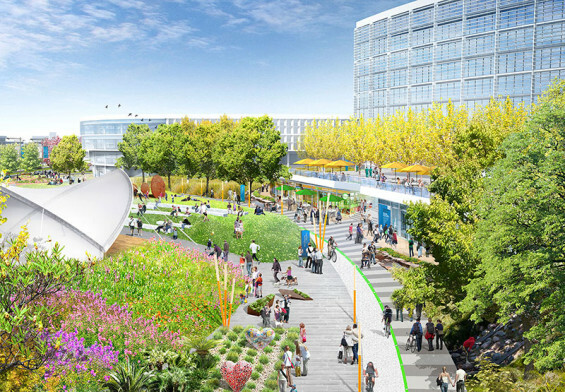 A new health park and a series of connected gardens and open spaces are designed throughout the rest of campus. This strategy maximizes the usability and flexibility of the open space resources.